There is a whole range of snacks in Indian cookery, somewhat corresponding to Chinese Dim Sum, or Spanish Tapas, that known generally as Chaat, or Chat. The name is commonly translated simply as ‘snack’ but it is actually derived from an onomatopoeic Hindi word that captures the sound of smacking lips. A Masala, as I have mentioned in many previous posts, is a common term in Indian cuisine meaning spice blend, and, not surprisingly, there is a specific mixture, albeit with many different permutations, specifically used for these tasty treats. 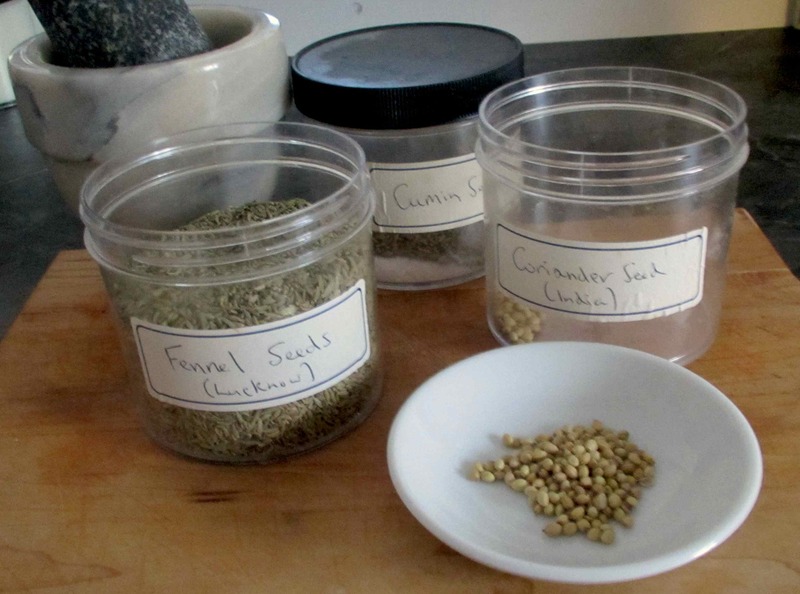 As to the quantities of the different ingredients used in each sample, it would take a computer and a lot of careful analysis to graph the very diverse variations but, as a very general rule of thumb, it seemed to me that there is a rough correlation between the frequency of use of a given spice and the amount that then gets used in various recipes. Accordingly, Amchoor and Black Salt, for example (both detailed in previous posts) each occur with a high frequency in the totality of blends and represent major components in all of them. One exception to this very broad and general rule is that coriander and cumin take precedence over amchoor in some recipes, but not in others, and the chili quotient varies considerably. Citric Acid (obtained from citrus fruits, commercially) is actually listed last not because I plan it to be the least ingredient represented; rather, this is to be an optional ingredient and variable in quantity. 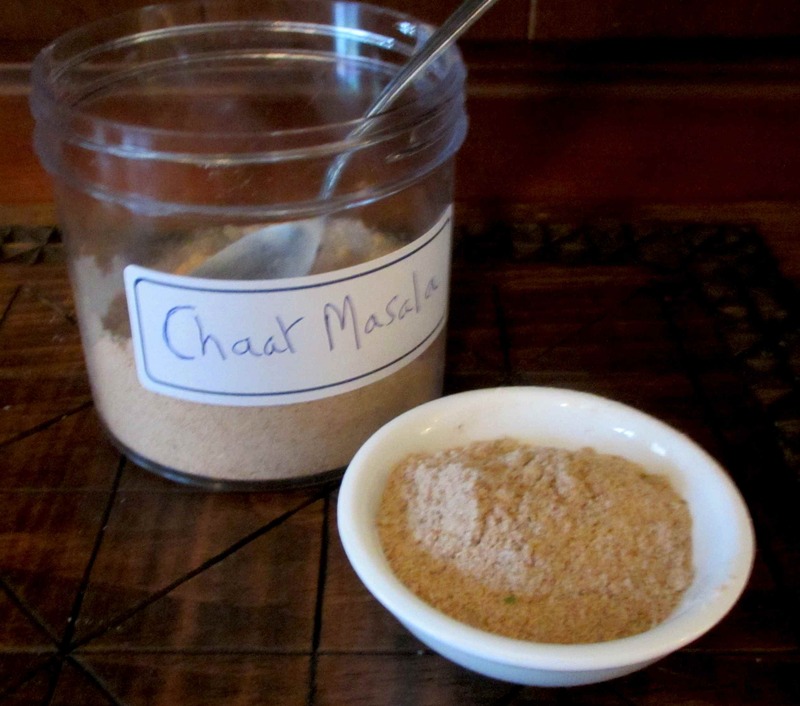 Chaat Masala should be tart and the level of tartness will depend upon the freshness and strength of the Amchoor to some degree. Accordingly, citric acid may or may not be required. 1 – 3 tsp. Citric Acid (optional). Dry toast the cumin, coriander and fennel seeds separately in a pan over moderate heat and, while they are all still warm, grind with the black salt and mint. Stir in the remaining ingredients and transfer to a jar for storage. The aroma of the freshly made blend is very pleasant overall, but very much dominated even by the small amount of asafetida used. The sulfurous quality of the black salt is very apparent but it comes through as a background to the rather herbaceous-garlicky notes of the asafeotida combine with mint. On tasting the raw powder, the ‘eggy’ sulfur taste of the black salt is very strong at the outset and then the more complex flavors of the remaining ingredients come together as a slightly sweet, slightly sour and slightly pungent middle ground. I was struck by the chili notes which came across as more bitter than hot and I was concerned that this might limit the use of the masala to hot foods rather than cold preparations. 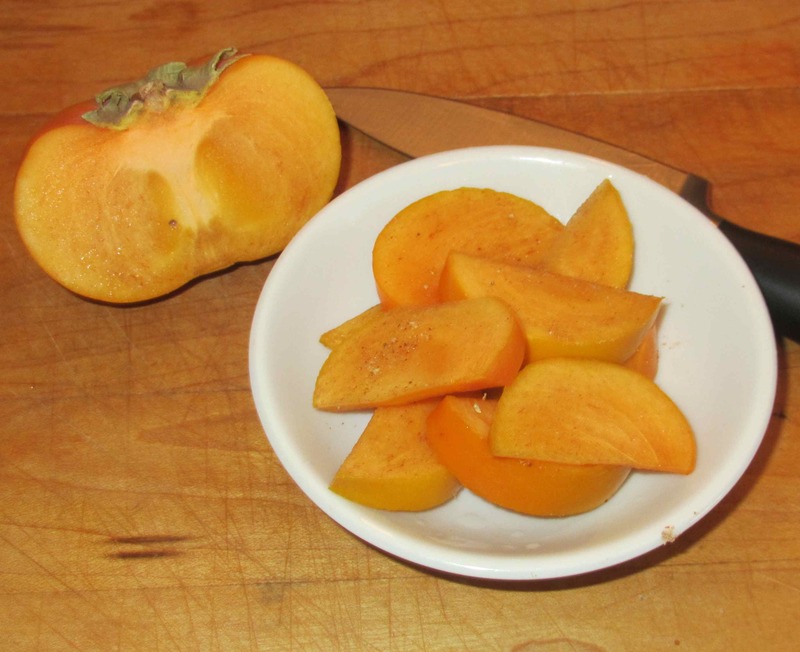 To test this last issue, I tossed some slices of cold persimmon with a pinch of the powder and my wife and I both thought it very nice. The chili did not come across a overly bitter, but I also thought that more in the way of sour notes would be good for this sort of use. I only used a tablespoon of the citric acid this time and in future, especially for ‘cold’ uses, I might use the full three tablespoons and possibly decrease the chili by just a smidgen. 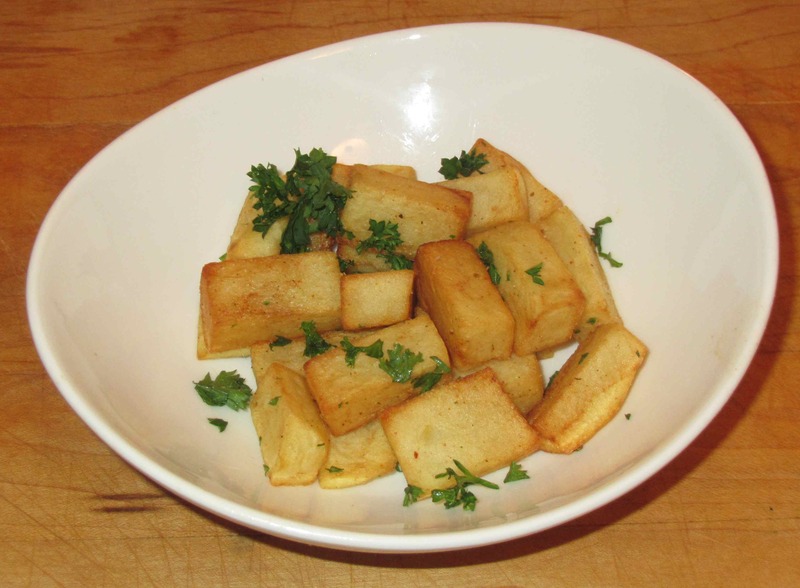 As a test of the spice blend in a hot preparation, I fried some chunks of potato as this is a very popular sort of ‘chaat’. Other than some parsley, just to add some garnish, I included no other ingredients other than a quarter teaspoon of my Chaat Masala. I was a little afraid of over seasoning the snack but, when we tested it, my wife and I both agreed that more was needed. Ultimately, I used a good half of a teaspoon for this experiment and we both enjoyed the result. I love your analytic approach to this. Thank you 🙂 I am working on a similar project at the moment. I love how your wife and you experiment with flavors! Home taste testing; love it! Wonderful how you’ve researched and and presented the amounts of different spices go in the different blends.